I'm bringing back the F1 Time Trials challenges we used to give one another. It used to be a great laugh trying to beat a time set. If I was successful then I would announce my result "gloating" about it only to have Oliver or Beaver come thrash my time not 2 hours later. Then leaving me to try and improve further. It was friendly and competitive, but didn't have to be taken overly seriously or commit too much time to it. I think that having a week in which to have a go and set a time, even try and break anothers time would be reasonable. We all have busy lives, Work and Family commitment. This will allow for people to have a go when ever they have a spot of time and are just generally in the mood. I'll announce the first challenge this Sunday. Im thinking that the winner of each event(week) set the new challenge (winner being the player who sets the fastest time). 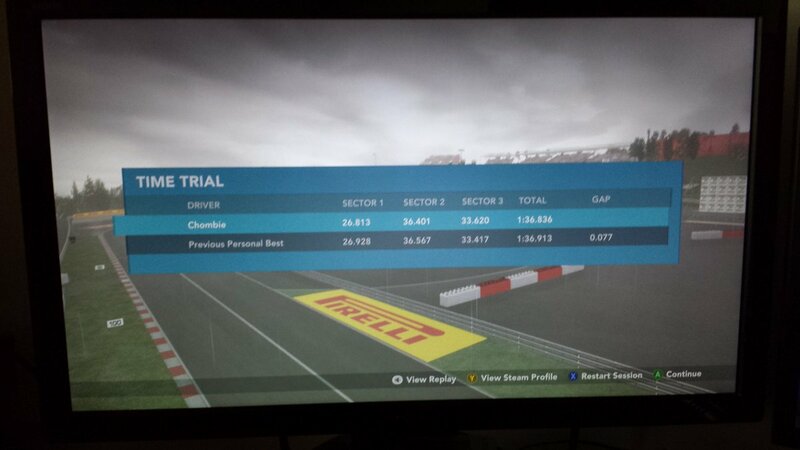 Before when we used to challenge each other, we played on F1 2012, as the successors at the time weren't really improvement We set our times in Time Trials as you would not need to PIT, could run as many laps as you liked, have no AI hindering you and could gain no advantage from cheeky corner cuts and it would make the lap time void. Someone would set a track, and the car to race in. I think we should keep to that formula. I have put the conditions that are to be set each week below. 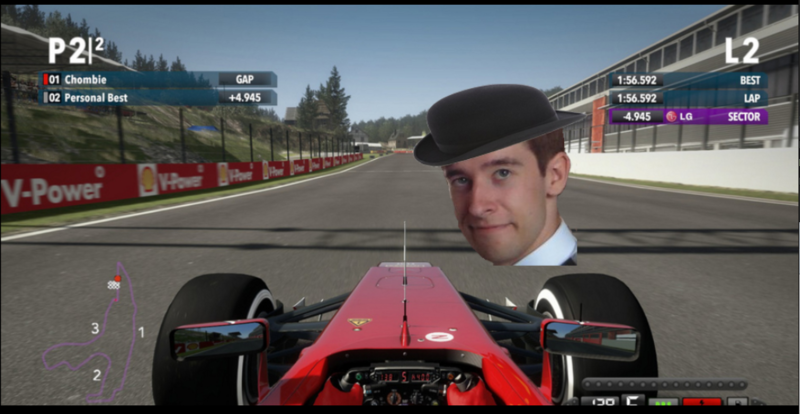 Anyone who has F1 2012 and wants to join is welcome. Simplest way is to post our times on this thread as we go, posting an image of your time would be best. Dont feel just because you dont have the top time you cant post your best, this keeps positions up to date, you can also show yourself closing the Gap. There is no point in just giving your score at the end of the event, it will lose that competitiveness, Post as you progress. In addition you can tweet your times. I will sort out some tables to add to the the forum so we can keep track of everyone, maybe even an overall season table! 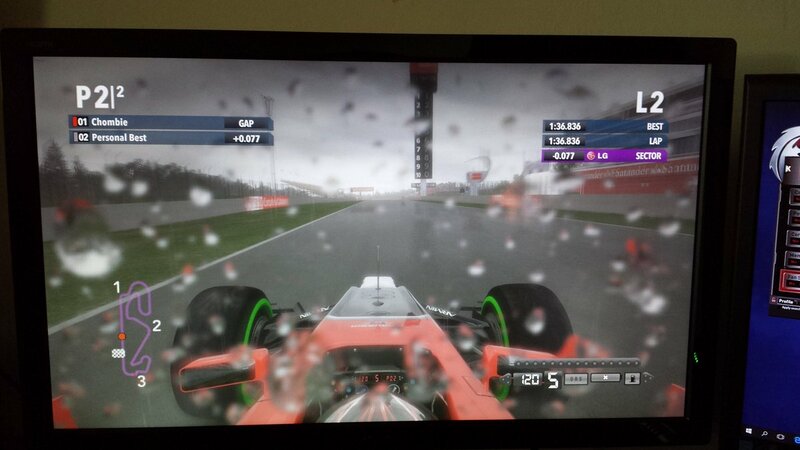 You have to play on - F1 2012. no other version of Formula one. You have to play on Time trials. No career or Time Attack mode. these conditions are set by the challenger every Sunday and in order to set a time should be adhered to. Play Fair! Why did you use a Keyboard.. Was it what Beaver said about your Pink Controller..
Driver Assists: All except driving line (fully and corners) are available for use. Hope in and out of playing as much or as little as you like, meant to be fun. Dont think i can do any better. pretty amazed at myself not gonna lie. Silly Todd, your game can't count properly! It went Comic Sans mode!